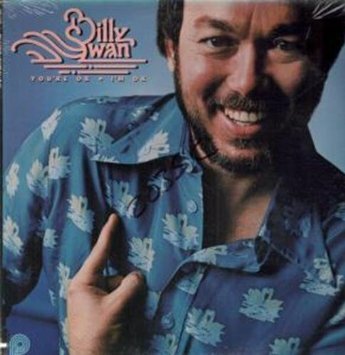 Why Billy Swan hasn’t scored a hit single since the four-year-old “I Can Help” is beyond me. Like its predecessors, this bright, melodic fifth solo album is just as much fun to hear as it obviously was to make. Producer Booker T. Jones is a big plus, as is Swan’s ability to walk a thin line between rockabilly and pop. But the artist’s attitude may be more crucial than any other single element to the record’s success. Trying to have a good time rather than to impress, Swan radiates an amiable modesty and rarely if ever oversteps his bounds. At the same time, he manages to sound consistently sincere without appearing to take himself too seriously—which explains why he often easily gets away with lyrics that would seem corny in most other hands.